Located within zone 1 at the heart of Central London, One the Elephant will provide 284 high quality studio, one, two and three bedroom homes in a bold new development. 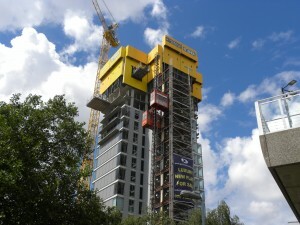 The tower sets new standards for sustainable, practical and contemporary London living. 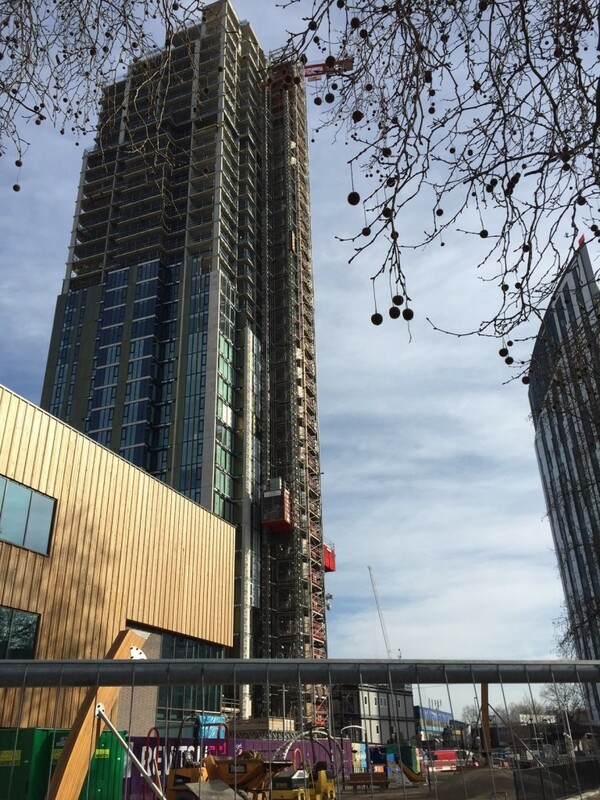 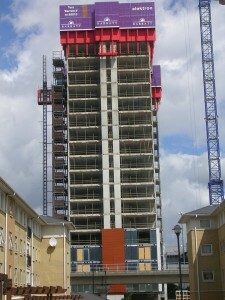 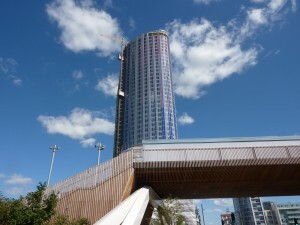 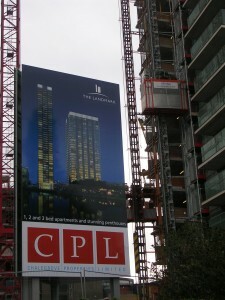 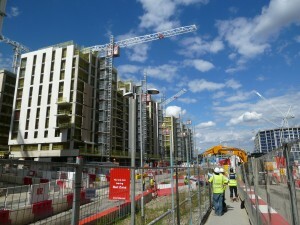 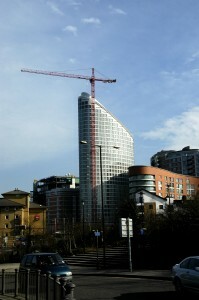 The tower is part of an exciting long term regeneration of the Elephant and Castle area. 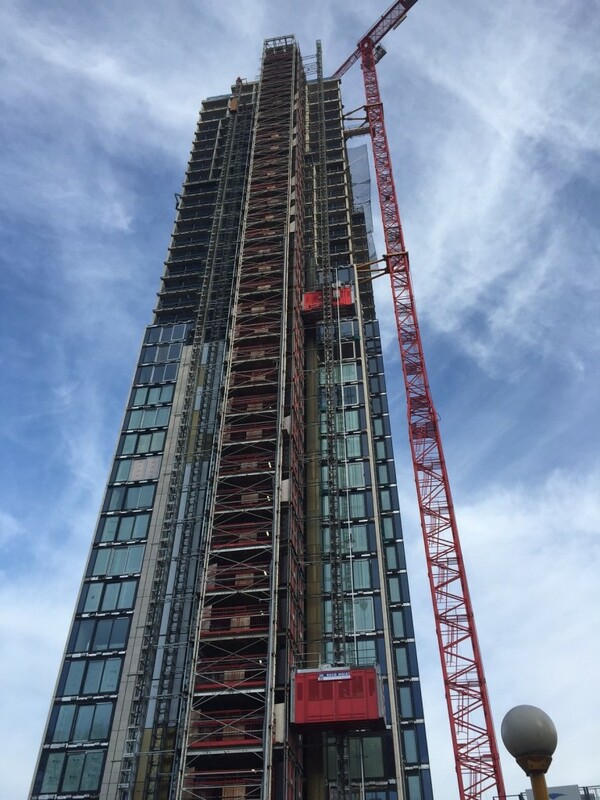 Working in Conjunction with Reco Hoists, UBS supplied their patented aluminium Common Tower as well as one of the largest construction hoists in their fleet, the Mammoth. 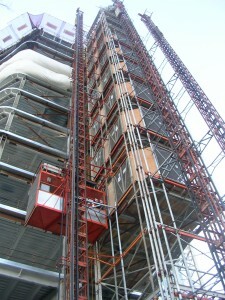 This mammoth is one of only two in the country, both owned by UBS, and both on very prestigious jobs. 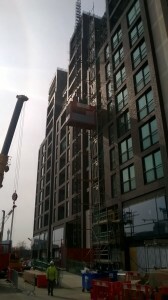 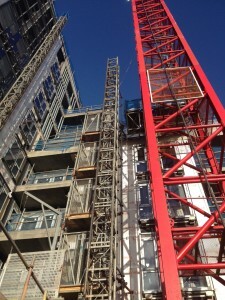 Reco supplied a twin hoist to the Common Tower also. 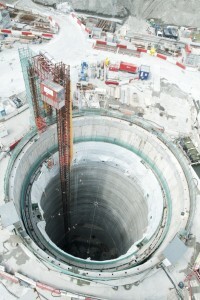 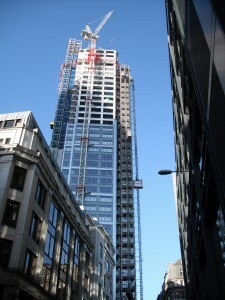 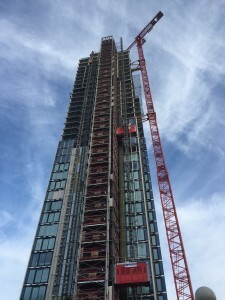 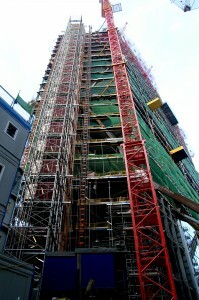 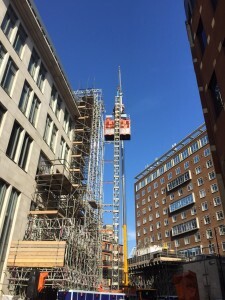 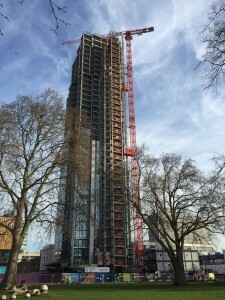 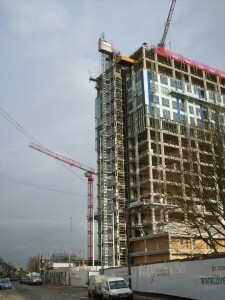 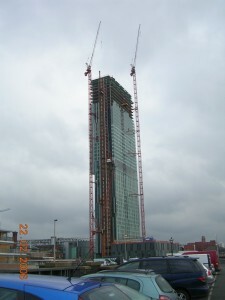 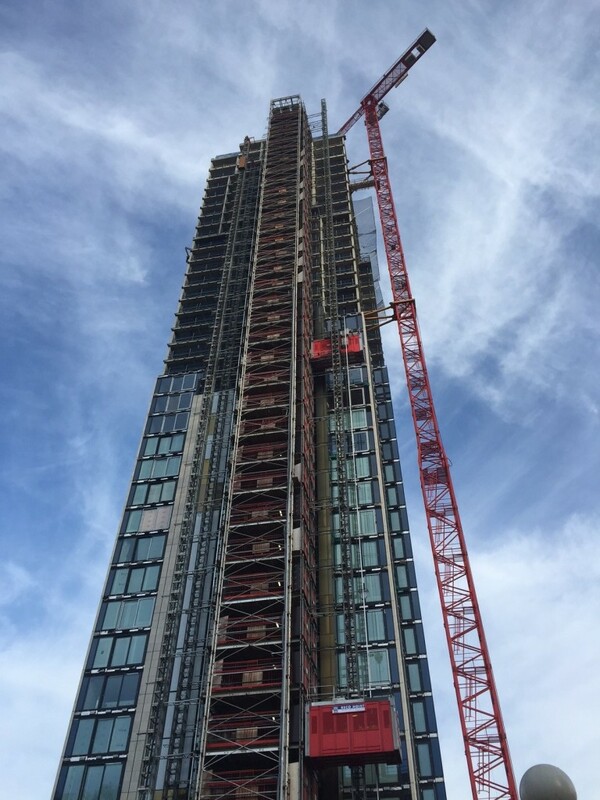 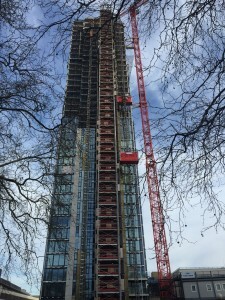 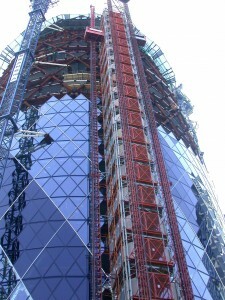 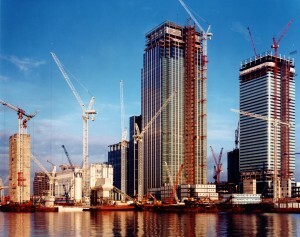 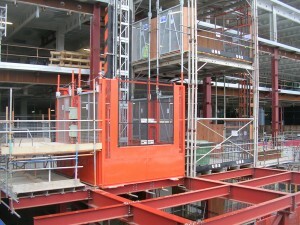 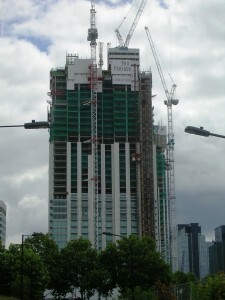 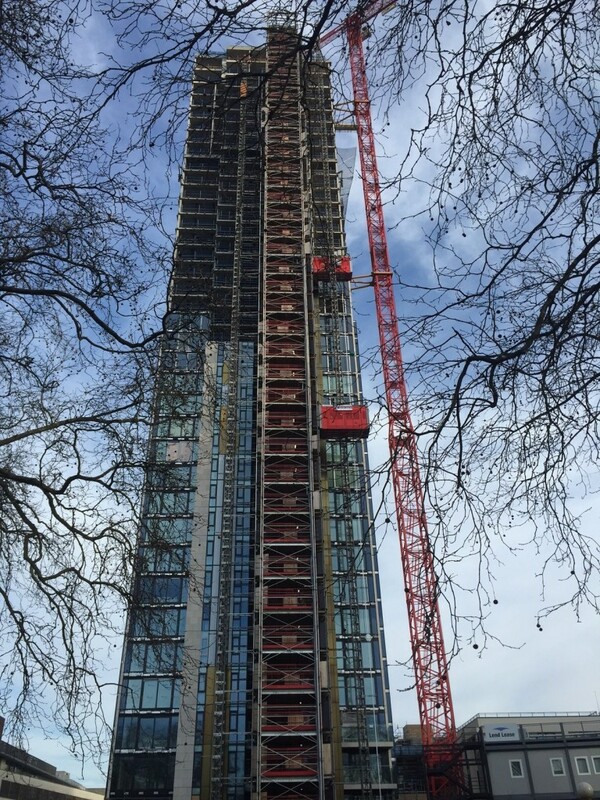 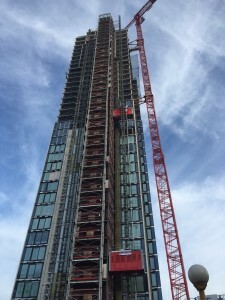 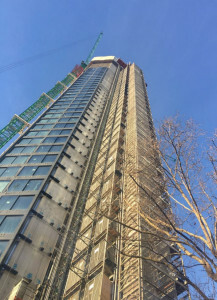 Using the Common Tower in conjunction with the three hoists either side allowed for the movement of large materials as well as the transportation of site operatives up and down the 37 storey tower. 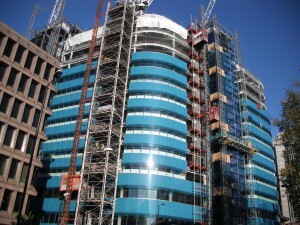 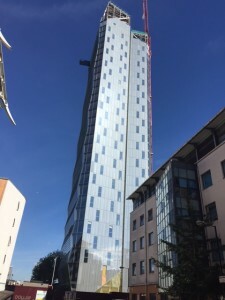 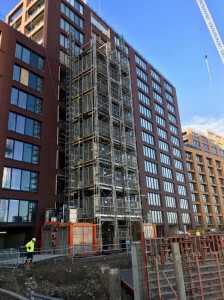 To allow for cladding installs prior to the dismantle of the temporary machines UBS worked closely with Lend Lease to provide a tie relocation sequence which allowed certain panels to be installed whilst the ties had been temporarily relocated.